Camtasia Studio for Windows XP - a utility for creating training videos. The program supports capturing video from the monitor screen and the connected webcam, can record the area of the desktop or application window, includes tools for adding text comments, highlighting the cursor pointer and displaying the key combinations used. The functionality of the editor allows you to use multiple video tracks, combine files using transition effects, add audio data and voice notes. The program can burn CDs and convert projects to avi, wma, mkv formats. 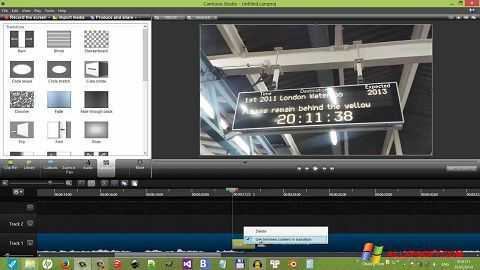 You can free download Camtasia Studio official latest version for Windows XP in English.